We provide a daily act of collective worship. Worship lies at the heart of Christian life and at the heart of our school. This reflects the traditions of this country which are, in the main, broadly Christian. At St George's this takes many exciting and spiritually developing experiences for all the children. At St George's Collective Worship often makes links to our school's core Christian Values. We follow the Anglican Church Calendar when planning Collective Worship and St George's has built up an excellent relationship with the Church to support this work. 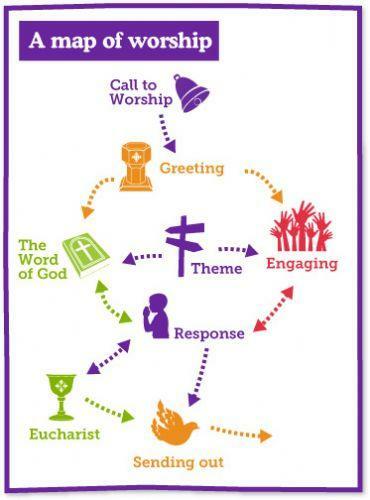 Children are encourage to plan, lead and evaluate worship throughout the year, with children regularly leading prayers, meeting with Mrs Accastello and governors to evaluate worship and join in with acting out Bible stories. Our Worship Leaders are responsible for setting the space for worship to take place in and leading the gathering, prayers and sending out. Worship Leaders have their own page below. Every child has opportunities to take part in Collective Worship and develop spiritual reflection. The timetable below shows which Collective Worship we have each day. Below you will find a copy of the Collective Worship Themes we plan for. These are planned by staff and Foundation Governors termly and monitored by the Head Teacher and Foundation Governors from St George's Church. Collective Worship lead by all teachers, children, Foundation Governors, clergy from St George's Church and other visitors to the school. The Coordinator for Collective Worship is Mrs Accastello. Children re-enacting the Resurrection of Jesus - and finding the tomb empty. OPEN THE BOOK SESSIONS RUN BY MEMBERS OF ST GEORGE'S CHURCH - children re-enact stories from the Bible. 20TH February - the children learnt about the Feeding of the 5000 and discussed miracles.